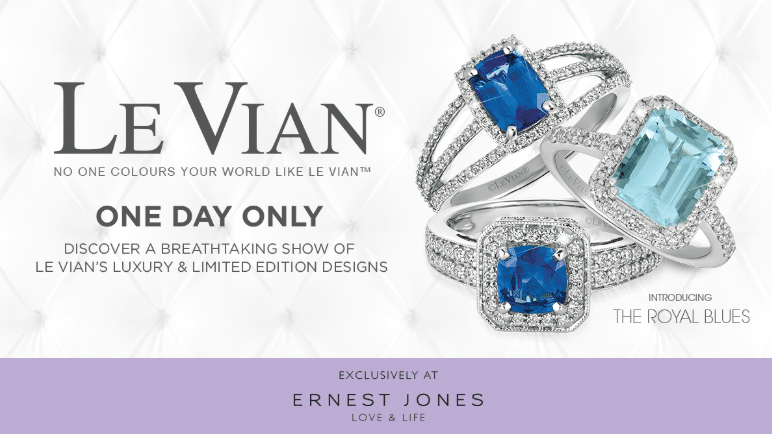 On May 28th from 9am-5:30pm, don’t miss the largest ever showcase of designer Le Vian jewellery for one day only. Discover a range of Le Vian’s luxury and limited edition designs which includes some of the most unique and precious jewellery since 1746. Find out more at Ernest Jones on the Upper Mall of the shopping centre.